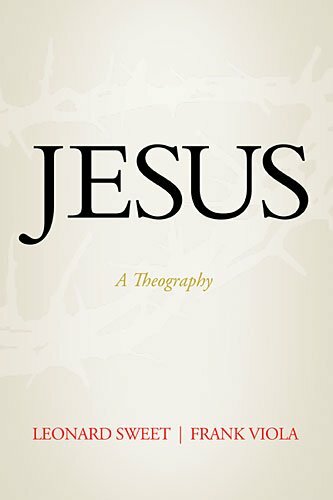 Countless books have been written on Jesus from almost every aspect one can think of but what makes this one unique is that this account not only reveals the story of Jesus from the Gospels, but it plumbs the depths of the Old Testament (the “First” Testament as they call it). Chapter one alone is almost worth the price of the book as the authors explain the concept of Jesus found throughout the Scriptures. Used throughout is a typological interpretation of the Bible. Jesus is seen in images, historical events, and people of the Old Testament. This approach opens up a huge area of new insights for Biblical studies. One will discover many “pictures” of Jesus because of the use of the Old Testament imagery applied to his life. I found myself making numerous notes on the back pages for future reference. Highlights include: Jesus as the Tree of Life, his view of women, his use of questions, Jesus as the third “thief”, and the comparison between the Ark of the Covenant and the tomb of Christ and many more. Despite their methodology, I was disappointed to find only three chapters devoted to the themes of Christ in the Old Testament. If fact, they wrote that “an entire book could be written expounding Jesus Christ from Genesis 1 and 2.” Maybe it should have been longer or in two volumes but I felt like much more in depth study of the types of Christ found in the Old Testament could have been done. Also, at times, things that are mere conjecture are written as if they were fact. Sometimes the connections between Jesus and other events or objects seem stretched or forced. At other times the writers appear to be inserting some kind of sermon into the chapter which doesn’t exactly fit into the flow. But all in all, this book will remain on my shelf and be utilized many times in the future to use for teaching, for preaching, and inspiration. It’s well worth the purchase and to own as a reference work on Christ which is much more complete than most.